THE AMG DIRTY DOZEN: 03/03/10 – Bronson & Hammer & Cannon, Oh My – Schlockmania! Next ArticleSchlock-Wire: Nico Fidenco’s BLACK EMANUELLE Soundtrack Gets A Limited (And Expanded) Reissue! 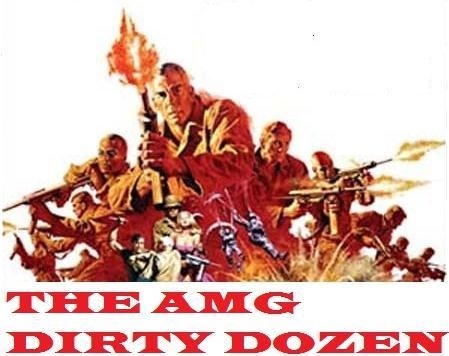 Is it wrong that when I read “AMG Dirty Dozen,” I thought of the Athletic Models’ Guild, and was thinking this would be something completely different? Probably. Ha, that’s news to me. I wish I had a bunch of Athletic Models around here. And 10 TO MIDNIGHT is a must – one of the best Cannon-era Bronson flicks and a sleaze meisterwerk in its own right.